Mild Aspergers syndrome is sometimes difficult to diagnose. Some mild cases are not diagnosed until later in childhood or even adulthood. If you are concerned that you or a loved one may have Aspergers, it is important to seek diagnosis. 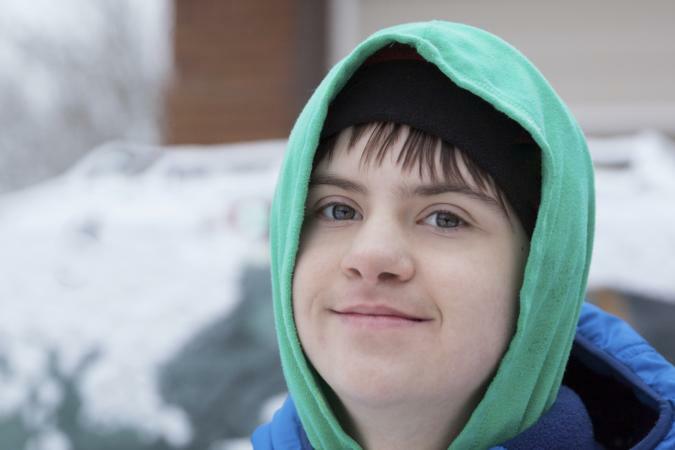 Learn how to recognize even the mildest symptoms of Aspergers syndrome. Aspergers syndrome is a pervasive developmental disorder that is categorized as part of the autism spectrum of disorders. The neurological condition involves impairments in areas such as social skills, communication and sensory processing. Unlike classical autism which is usually detected by age three, Aspergers is often missed in early childhood. The reason for the missed diagnosis is the fact that many children with Aspergers meet most early childhood developmental milestones, although some are late bloomers, and often have a large vocabulary. In some cases of mild Aspergers, the first noticeable signs of the disorder may be apparent when the child enters school and has significant difficultly with social interaction, communication or understanding verbal instruction. Social Awkwardness, Aspergers or Something Else? It is important to note that many children and adults who do not have any medical condition are simply shy or have difficulty conversing and relating with peers. There are also people with other medical conditions such as nonverbal learning disorder (NLD) and attention deficit hyperactivity (ADHD) disorder who exhibit communication problems similar to Aspergers symptoms.A person with mild Aspergers will often have difficulties interacting with peers as well as experience other Asperger symptoms such as a need for strict routines or an unusually intense ability to fixate on an activity or subject for hours. Yet, the fact that Aspergers is a spectrum disorder with people experiencing different sets of symptoms and levels of impairment makes diagnosis difficult. In addition, some people with Aspergers also have other medical conditions such as ADHD. Diagnosing mild Aspergers is even more of a challenge because some people with mild Aspergers only display several noticeable symptoms. Problems with two-way conversation: He talks at people rather than with them. He may try to talk about a favorite subject and not notice when people are not interested in it. Difficulty with social cues: He may say or act inappropriately and seem oblivious to others' reactions. He may miss someone's subtle attempt to leave a conversation. Social awkwardness: He wants to make friends but has trouble figuring out how to make them or maintain friendships. He may have trouble maintaining long friendships and working relationships with co-workers. Verbal instruction challenges: He has problems understanding verbal instruction and learns better with visual supports. Mindblindness: He often takes things literally and does not understand subtle language. He has problems understanding other people's emotions and may respond inappropriately due to this misunderstanding. Narrow interests: He may have a limited range of interests and no interest in participating in other activities or subjects. Strict routines: He prefers a rigid routine and gets irrationally upset when the routine is disrupted. Sensory problems: He may have unusual reactions to sounds, sights, physical contact or tastes such as an irrational fear of the sound of car horns. Motor skill problems: He experiences some limitations in both gross and fine motor skills. For example, he may have taken longer to learn how to ride a bike or gain skill at handwriting during childhood. Repetitive behavior: He include unusual rituals or repetitive actions in his strict routine such as hand flapping or rocking back and forth. Many of these repetitive actions are performed in a very specific manner. For example, he may flap his hands four times before opening a door. If you suspect that you or a loved one may have Aspergers or a similar medical condition, consult with your doctor for proper diagnosis immediately. Although early intervention is best, you can get help for Aspergers at any age. The right treatment plan can improve life quality. You can also find information on local Asperger support resources by visiting the Autism Society of America, National Autism Association or Autism Research Institute websites. All three sites provide information on local chapters and resources. The sites can also provide additional educational information on Aspergers syndrome and autism and current treatment options. Mild Aspergers syndrome may be difficult to diagnose. Yet, once people receive a diagnosis, they have access to many effective treatment options. The many treatment options and support resources provide numerous opportunities for people with Aspergers to thrive in daily life, meaningful relationships and successful careers.